MMA Wales is proud to be a partner of the Chris Rees Academy, home of Wales’ only official Gracie Barra Brazilian Jiu-Jitsu club. Lessons are held in Swansea, Cardiff and Bridgend. There are also affiliate clubs in Aberystwyth, Barry, Caerphilly, Cardigan, Church Village, Lampeter, Merthyr Tydfil, Pembroke Dock and Trefforest. 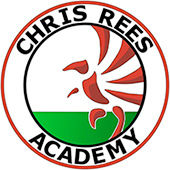 The Chris Rees Academy offers lessons in Brazilian Jiu-Jitsu, Submission Grappling and Mixed Martial Arts. Lessons are available for adults and children, catering to all levels of ability from beginner to advanced. Private lessons and seminar bookings are also available. Brazilian Jiu-Jitsu beginner courses starting in February! This course is designed to teach you some of the fundamental movements, positions and techniques of jiu-jitsu in order to give you a great start in the sport. 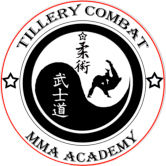 The course is designed for absolute beginners or very novice grapplers who haven’t been training very long. The cost of all this is only £70 and can be booked with a deposit of £20. Each course will start on the first day of each month. You can book in advance for any month of the year. The first courses will start in February 2013. As a club we train in several martial arts so there is something for everyone. If you are looking to compete, learn self defence or just keep fit then come to one of the classes. We have a full time training facility where all classes are held, based in Blaina, South Wales. A membership scheme is also available that gives 24hr access to the gym. There are NO EGOS and students of all skill levels are welcome. Anyone wishing to know more about classes or using the gym contact Richard Shore on 07833 444560. HFFS are essentially a Mixed Martial Art Centre of Excellence. We love to FIGHT. Fighting is what we do best… It’s what drives us, it’s what we are passionate about. We have over ten different martial arts styles taught on site. We possess 13 different coaches across the ten fighting systems. We have professional coaches and ex-professional fighters. We have a former European, Commonwealth, British and Irish Light Middleweight Boxing Champion (Jamie Moore). 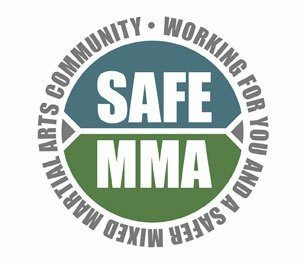 We have a professional ‘Fight Team’, catering for the development, nurturing and management of professional fighters. We Specialise in the tuition of children from ages of 5 to 16, as well as holding female only classes and 16 and older in self-defence, martial arts based fitness based training and fight camp residential training. We have excellent contacts and networks across all fighting styles, particularly in MMA, which is the fasting growing sport in the World. We really do have something for everyone interested in fighting system based fitness and competition. Private and Group tuition available to suit your individual needs, from 7am – 9pm seven days a week. For more information, please visit the HFFS website. 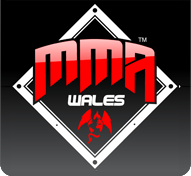 Do you run a MMA gym in Wales? Get in touch so we can add you to this page!